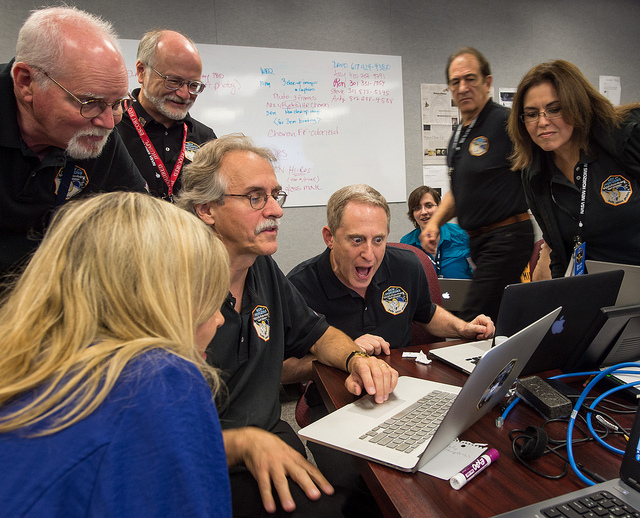 Scientists are crunching data for a press conference Wednesday, and there is high anticipation for the release of the first close-up images from Tuesday’s historic flyby of Pluto. 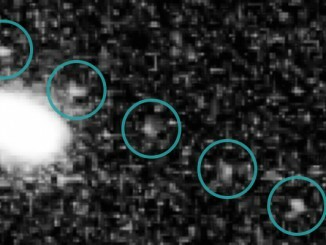 The last image returned by New Horizons came to Earth late Monday, showing a full global view of Pluto’s day side from a range of 476,000 miles. 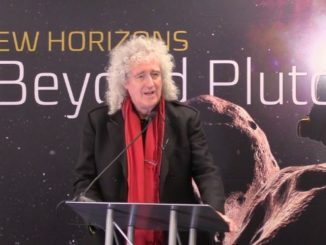 New Horizons principal investigator Alan Stern says the images available Wednesday will be 10 times better. 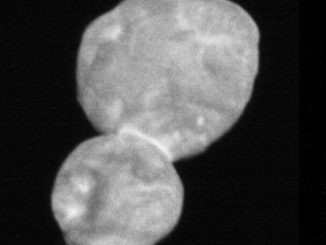 Telemetry downlinked from New Horizons indicate the probe collected all the data it was programmed to gather, according to Chris Hersman, mission systems engineer at the Johns Hopkins Applied Physics Laboratory. Jim Green, head of NASA’s planetary science division, is excited about Wednesday’s Pluto data dump.